In a study on 3299 patients with a burn injury cannabis use was associated with lower mortality and shorter hospital stays compared to non-users and users of other drugs. Researchers of the Jaycee Burn Center of North Carolina in Chapel Hill, USA, analysed data of all patients admitted to the centre in 2015. All included patients were tested for drugs, including amphetamine, cocaine, cannabis and alcohol, and 56% tested positive for at least one substance. The most prevalent drug was cannabis at 29% of study population, followed by alcohol, cocaine, and then amphetamine. Patients who tested positive for cannabis had shorter lengths of stay in hospital compared to non-users and users of other drugs. Mortality was 4% for patients with positive cocaine and amphetamine screens, as well as those testing negative for drugs and alcohol. Mortality was 8% for those positive for alcohol and 1% for patients with positive cannabis screens. 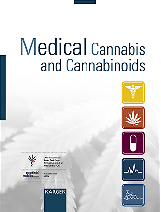 A cannabis extract with a CBD/THC ratio of 20 to 1 reduced disease severity in an open study with 57 patients suffering from various epilepsy forms. The investigation was performed by researchers of the Paediatric Neurology Unit at the Tel Aviv Medical Centre, Israel. The patients in the age 1 to 20 years were treated for at least 3 months with a median follow-up of 18 months. Average daily dose of CBD was 11.4 mg/kg bodyweight, corresponding to 0.55 mg THC/kg bodyweight. 46 patients were included in the efficacy analysis. Twenty-six patients (56%) had at least 50% reduction in mean monthly seizure frequency. There was no statistically significant difference in response rate among various epilepsy aetiologies, and cannabis strain used. Younger age at treatment onset (younger than 10 years) and higher dose were associated with better response to treatment. Authors wrote that their “results suggest that adding CBD-enriched cannabis extract to the treatment regimen of patients with refractory epilepsy may result in a significant reduction in seizure frequency according to parental reports.” However, effects may be due to THC, at least in part. Cannabis reduces symptoms of depression, anxiety and stress according to a study by researchers from the Washington State University in Pullman, USA. Using data from an app they analysed 11,953 cannabis sessions of people suffering from depression (3151 cannabis intakes), anxiety (5085) and stress (3717). The app (StrainprintTM) provides medical cannabis users a means of tracking changes in symptoms as a function of different doses and cannabis strains. Medical cannabis users perceived a 50% reduction in depression and a 58% reduction in anxiety and stress following cannabis use. Two puffs were sufficient to reduce intensity of depression and anxiety, while 10 puffs or more produced the greatest perceived reductions in stress. 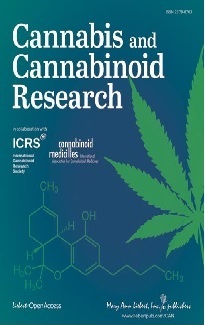 Strains with high CBD and low THC was associated with the largest changes in depression ratings, while strains with high CBD and high THC produced the largest perceived changes in stress. Cannabidiol (CBD), a non-psychedelic compound of the cannabis plant, does not alter normal sleep cycle. This is the result of a clinical study with 27 healthy volunteers, who received either CBD (300 mg) or placebo in a double-blind design by researchers from the University of São Paulo, Brazil. CBD or placebo was administered 30 min before the start of polysomnography recordings that lasted 8 hours. During polysomnography a number of sleeping-related parameters are measured, including leg movements, eye movements and electrical activity of the brain. Department of Psychiatry, Perelman School of Medicine, University of Pennsylvania, USA. In patients with heart failure cannabis users were less likely to have artrial fibrillation compared to non-users (19.1% versus 21.4%). Researchers used a database of 3,950,392 patients admitted to hospital with a diagnosis of heart failure in the United States in 2014. Among these there were 17,755 cannabis users. They wrote, that this reduced risk was not explained by other reasons, for example age. Department of Internal Medicine, Englewood Hospital and Medical Center, USA. In a study with 622 young Australian adults with a mean age of 25.9 years cannabis use was unrelated to brain structure. Investigators studied the volume of 7 brain regions, including thalamus, hippocampus and amygdala by magnetic resonance imaging (MRI). However, high cigarette use was associated with significantly smaller thalamus volume. Virginia Institute for Psychiatric and Behavior Genetics, Virginia Commonwealth University, USA. In an open study with 18 regular cannabis users, who took 200 mg of CBD daily for about 10 weeks, the volume of certain areas in the hippocampus of the brain, was increased. Heavy cannabis use may have a negative effect on these areas. Compared to healthy subjects blood concentrations of the endocannabinoid 2-AG (2-arachidonoylglycerol) was increased in patients with systemic lupus erythematosus. The highest levels of 2-AG was associated with a lower disease activity. Department of Medicine, Campus Bio-Medico University of Rome, Italy. Activation of brown adipose tissue by cold increased the density of CB1 receptors. In contrast, overweight men with reduced activity of brown fat exhibited decreased numbers of CB1 receptors in the brown adipose tissue. In a model of allergic contact dermatitis with human skin cells (keratinocytes) CBD exerted anti-inflammatory effects. CBD elevated the levels of the endocannabinoid anandamide and inhibited the release of several cytokines, which are associated with inflammation, including tumour necrosis factor alpha (TNF-alpha) and interleukin-6. Adolescent cannabis use was associated with attenuated reductions of grey matter density, compared to non-users, in patients with schizophrenia. Total and regional grey matter density in individuals with psychosis and adolescent cannabis use were not different from healthy subjects. Department of Psychiatry, UT Southwestern Medical Center, USA. Increase of the concentration of the endocannabinoids anandamide and 2-AG (2-arachidonoylglycerol) by inhibition of degradation through inhibition of the activity of the enzymes FAAH and MAGL produced anti-anxiety effects in stressed mice. Department of Psychiatry and Behavioral Sciences, Vanderbilt University Medical Center, Nashville, USA. Sullivan University College of Pharmacy, Kentucky, USA.